Well, what is there to write about me? May be, just that I was born in a small village in a small corner of Manipur which was not connected by motorable road. When my first tooth had to be pulled, my dad and I had to walk more than 60 km on foot to reach the nearest town. I remembered crying all the way asking my dad to carry me on his back.I also remembered that it was the slash-and-burn season of the year as we had to scamper for safety to escape the raging fire. And the rest, as they say, is history….though I am still very much alive and kicking…..
To cut a long story of over 45 years to a fraction of what it actually is, let me also say that I have seen different shades of life, at times bringing me to tears with joy and happiness; and at times bringing me so much pain that I wish I could pierce my heart with a pointed arrow, at least to touch and feel it in the hope that something could be done to it. But in both cases, it has always brought me to my knees before God. Pain nourishes courage. You can’t be brave if you’ve only had wonderful things happen to you, Mary Tyler Moore once said. Finally, life is too short for wallowing in self-pity. I’m outlandishly simple but loves to know people and travel places and make new friends. I love to travel by road and capture the places I pass through both in memory and camera. I have two abiding passions: reading and writing. When I’m not lost in reading, you can always find me at my desk scribbling something onto my laptop or note-pad. When I was young, singing in our church choir was a routine Sunday affair. As a single-parent I am a blind housekeeper, a marginal cook, and a mediocre “maid”, but home is still my favorite place to be. Thank you, Arlene. A big hug from me to you for remembering me. I’m deeply honored. I’ve also nominated you for the Very Inspiring Blogger award – how could I not?! Thank you for all you do – Blessings my friend. I’m deeply honored. Thank you so much! The thanks belong to God and you – Him for creating you and *you* for uplifting Him daily! Nice to meet you, thank you for visiting me! Interesting story you’ve shared here! Many thanks for the connection. Really appreciate for the time you’ve taken to visit my page. God bless you! Thanks for the follow. You have a very interesting blog and a incredible outlook on life. God Bless and keep the faith. Cheers. Thanks and cheers to you too. God bless! Wow, what a testimony to the joy of the Lord being our strength,in looking at your life! What an example you and your family are. Your blog is written so beautifully. Thanks for the follow. I look forward to keeping up with yours. Thanks for visiting and following my blog! I like the MTM quote…very true! It is a wonderful feeling to be loved. And home is the only place where you give and get true love. Thanks for the connection and God bless! I like that how you like to travel…but “home is still were you like to be”. But my situation does not permit me to venture out any more. I’m a stay-put-at-home dad now…. Wonderful to be connected here. And I’m honored with the One Lovely Blog Award nomination. Thanks for the thought that I deserve it. Keep in touch and God bless! I’m so happy to finally get over to your blog and first commend you for your authenticity on your blog and also to say thanks so much for visiting my blog. I’ve been doing my Daily Success Tip on its own out on my blog but I may just start another page because I have way more to say than what I can get in a tip! I really do love your blog and will be back my friend. Thanks again. Many thanks for coming over here. Really appreciate what you’ve shared here. God bless! Thanks for following, and dropping by. It’s my pleasure to be connected here. Thank you so much for visiting me and following my blog! I am inspired by your writings and look forward to reading more. You courageously and beautifully share your innermost thoughts. May you be blessed with all the good things of life. Thank you so much for your kind words. And many thanks for the connection here. Hope to see you soon. Thanks for visiting my blog and following. I appreciate it. You have an inspiring blog, indeed. What a scary time you experienced as a kid. I’m so happy to hear you are filled with hope in your life. I guess those things can make you stronger. Thank you, dear friend, for the nomination. It is so nice to be remembered. God bless! You are welcome! enjoy the reward. Paste it to your sidebar. Thanks for signing on to follow my blog. I am impressed with your posts. Keep the faith. I am so honored. Thanks for thinking that I deserve it. God bless! Thank you, dear friend. I’m so honored. Hi Khamneithang! I like your blog so much and feel that it is very inspiring, so I’ve nominated it for the very inspiring blogger award! Here’s a link if you want to check it out! Just the thought that I deserve the award is truly encouraging. I really appreciate it. Thanks for thinking of me. Just want to let you know that I have nominated you for the coveted Reader Appreciation Award! Please visit 1catholicsalmon in order to pick up your badge of honour! I’m so honored. God bless you! Thanks, and it is a great honor. God bless! Glad that my bog is becoming a part of your life. And thanks for the award. God bless! I am glad of that as well, brother. You’re most deserving of the award, it was my pleasure. God Bless you as well! I’m truly honored. God bless you! Here I hope it is not too late to wish you a wonderful New Year. May 2013 bring you more happiness, love, and success. I would like to thank you because you continue following my blog. I hope my blog posts do not disappoint and that your visits in there have been a joyful ride. Big hugs to you, brother. Keep walking in the Lord. 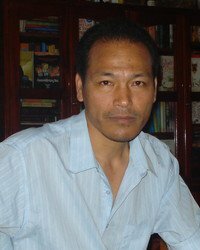 Khamneithang, I have to ask you…do you know Lian Tombing of Manipur. He is in a city I can’t spell, and has established many churches in the country side and in Assam. I know Manipur is a big place. Thanks for dropping by. I think I know the person you are referring to. At present I live in Churachandpur.